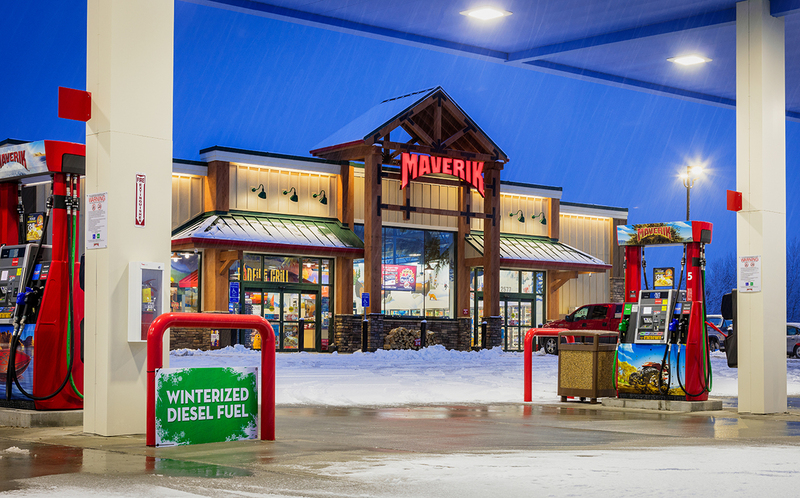 R&O Construction has an ongoing relationship with Maverik Inc. since the ‘90s and has already completed more than 45 stores for them. 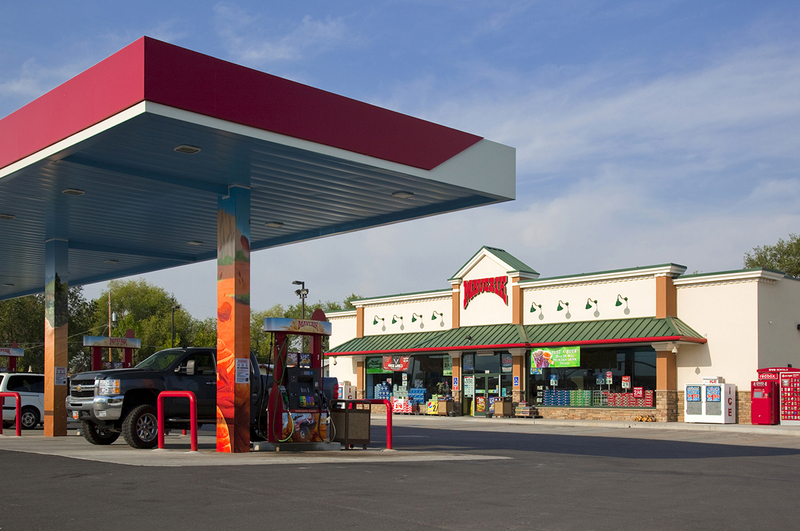 Each store and fuel station is about 4,600 sf with a stone and EIFS exterior. The structure is a hybrid of structural steel and metal steel framing with a high-quality joist-and-deck roofing system. 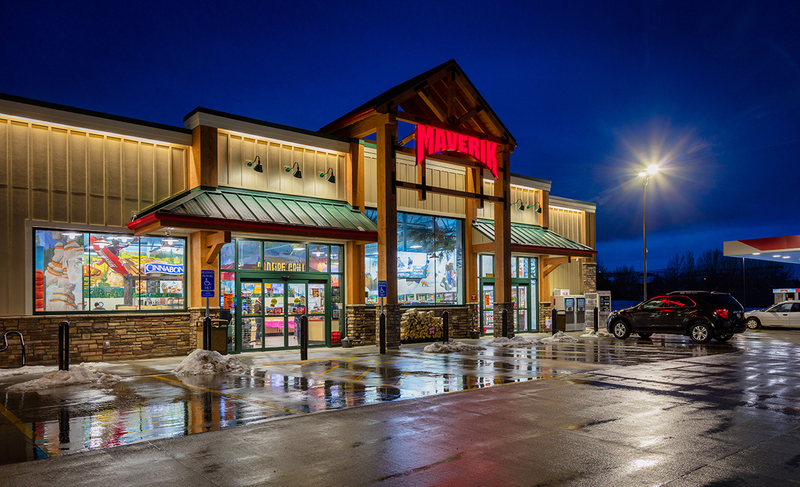 The interior finishes focus on a detailed sales floor slab concrete with a special polished finish so that when a customer comes in, their first impression is a nice, bright, durable exposed floor with a kind of rustic red finish that fits Maverik’s outdoorsy theme. 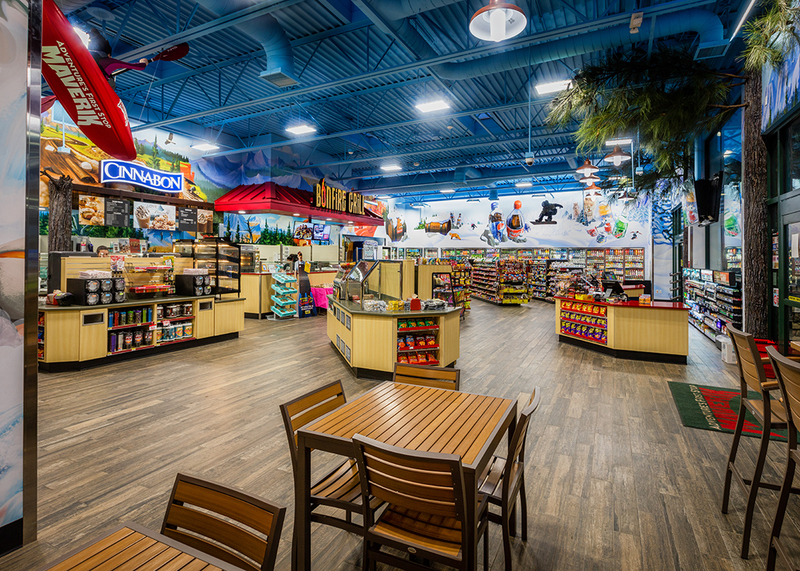 One other special element is a bakery on site as Maverik makes its own baked goods and sandwiches inside the store.